Lisa Renee Sherman (Ogimaakwe) received her Doctor of Pharmacy from the University of Minnesota-College of Pharmacy on May 4, 2012. Lisa is the daughter of Frank Sherman of Winnie Dam, and Evelyn Howard of Cass Lake. Lisa grew up with her parents and two other siblings at Winnie Dam and is a 1999 Cass Lake-Bena High School graduate. Lisa accepted a position as a pharmacist for the Bad River Ojibwe Tribe of Wisconsin and will start her position the end of May 2012. Her advanced pharmacy practice experience led her to a learning experience in Acute Care at Community Memorial Hospital Pharmacy in Cloquet, MN, St. Luke’s Hospital in Duluth, MN and at Grand Itasca Clinic and Hospital, Grand Rapids, MN. She also participated in a wonderful learning environment in Patient Care at the Deer River Hospital Pharmacy and Ambulatory Care at Cass Lake Indian Health Service. Her two-year Research Project in Pharm.D.IV focuses on Native American patients and their pharmacists in an Indian Health Service Pharmacy with the final analysis as a documented data collection of the utilization of a holistic relationship to pharmacy. Lisa was the first cohort to receive an undergraduate scholarship award from the Gates Foundation as a Gates Millennium Scholar. Lisa also received a scholarship award from the Indian Health Service Scholarship Program. 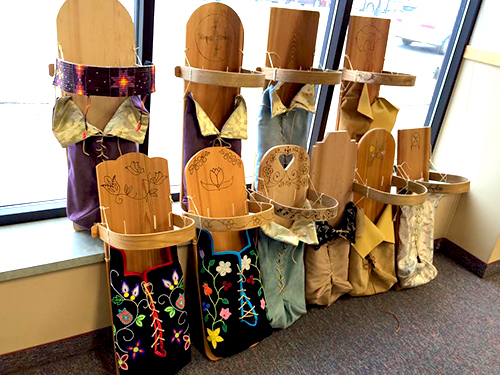 The Minnesota Indian Women’s Resource Center (MIWRC) announced the availability of a new, strength-based parenting curriculum focused on supporting American Indian families where fetal alcohol spectrum disorders (FASD) is suspected. "Gifts from the Sacred Circle: A Native Traditional Parenting Curriculum for Families Affected by Fetal Alcohol Spectrum Disorder." Authored by Rosemary White Shield, Ph.D., the curriculum is the result of seven years of collaborative work with tribes, elders, researchers, and organizations dedicated to addressing the role of FASD in Native communities. The curriculum design is research based, and built upon the Medicine Wheel Tribe Specific Education Model with input from Native families, elders, caregivers, spiritual leaders, service providers and others. To order a copy, call Hazelden Publishing at 1-800-328-9000. On May 17, the Anderson Center presented the 2012 A.P. Anderson Award to renowned Fancy Dancer, Larry Yazzie (Meskwaki/Dine). Yazzie consistently takes top honors at American Indian powwows throughout the United States and Canada, and won the world championship in the northern style fancy dance in 1995. Yazzie has performed with many well-known performance companies, including the Woodland Singers and Dancers, Discover Native American Dance Troupe, Lakota Dance Troupe, Foxwoods Dance Troupe, and Kevin Locke Trio. His numerous appearances include the 1996 Atlanta Summer Olympic Games, the 1999 Goodwill Games in Russia, the 2005 Belo Horizante International Cultural Festival in Brazil, and the 2005 Macy’s Thanksgiving Day Parade in New York City, where he performed with his son, Jessup. A member of the American Indian Committee on the Ordway Theatre’s Cultural Advisory Council, Mr. Yazzie is founder and current Executive Director of Native Pride Dancers, a nonprofit dance organization whose mission is to preserve and showcase Native American dance, music, and storytelling. The A. P. Anderson A ward is presented annually by the Anderson Center to recognize significant contributions to the cultural and artistic life of Minnesota. 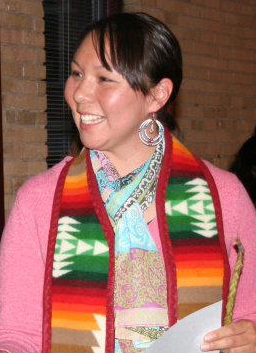 Women of Nations, located in Saint Paul, MN, announced the hiring of their new Executive Director, Della Plume. Plume (Hidatsa/Lakota) is a veteran of the U.S. Army. She received her Bachelor of Science Degree from the University of South Dakota in 2004 where she double majored in Psychology and Criminal Justice with a minor in Drug and Alcohol Studies. She received her Master of Art’s in Psychology and is working toward completion of her Ph.D. in Clinical Psychology. Her experience and interests are in childhood trauma, posttraumatic stress, and culturally sensitive interventions. Women of Nations provides supportive services, including crisis intervention, advocacy, and shelter for Native American and other battered women, their children. 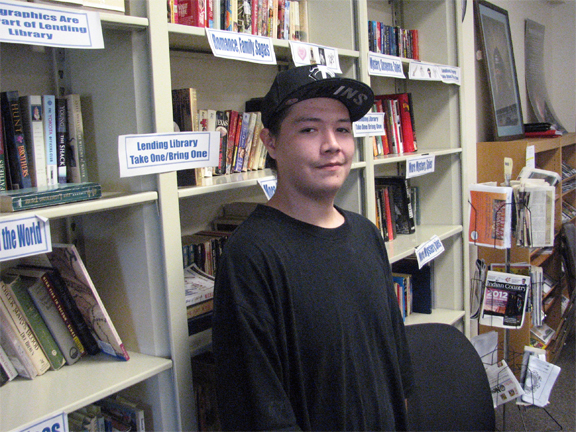 Next articleAmerican Indian Family Center employees call for removal of E.D.